What is bipolar disorder, and how does this illness affect those who have it? Bipolar disorder is commonly referred to as manic depressive disorder, and the illness causes rapid mood changes and extreme thought and energy shifts. Most people experience ups and downs as they go through life, but someone who has bipolar disorder will feel these on a rapid basis and with much more intensity. The mood swings make it difficult to work, enjoy life, or even handle daily responsibilities. This disorder usually first appears in the teen years or when the individual is in their early twenties, and both men and women are affected equally by this condition. 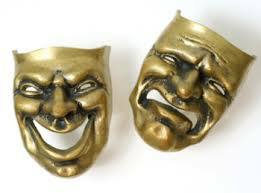 Bipolar disorder is caused by genetics and environment both, and the exact specifics are not fully known. The rate of bipolar disorder occurrence is the same regardless of race, economic and social classes, and ethnic background. It is possible to manage this condition with proper treatment, but an appropriate diagnosis must be made first. Because bipolar disorder can include symptoms that mimic other mental health disorders it may take some time to make a diagnosis with this illness. Substance abuse and addiction are also very relevant factors, because many with this mental health disorder will use drugs or alcohol in an attempt to manage the mood swings and other symptoms. Ten percent of individuals with bipolar disorder will be classified as rapid cyclers. When this illness makes it impossible for you to function on a normal level for at least two weeks because of the mania, depression, or both, then this is considered an episode. Anyone who has at least four of these episodes in a single year will be diagnosed with rapid cycling bipolar disorder. This requires treatment immediately, and women are more likely than men to have this feature. 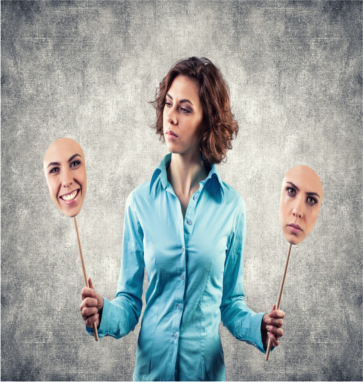 The changes in mood can occur many times in a single day with bipolar disorder, or they may not change as frequently and either the high or low of the condition may last for days or even longer. Because this illness does include emotional instability and continuous mood changes treating it can be a big challenge but it is possible. Bipolar disorder will not go away, and delaying treatment will only make the symptoms of this disorder become more severe over time. Bipolar disorder can be classified as one of four types, and these are I, II, Cyclothymic, and not otherwise specified. Each of these types will involve symptom patterns and severity levels, and will have certain recommended treatment methods. Substance abuse is a common factor with individuals who suffer from bipolar disorder, and a dual diagnosis makes treatment more complex. Medications will normally be needed to treat the bipolar, but alcohol and drugs can interfere with these medications in a number of ways. Some common medications for bipolar disorder includes Depakote, Lithium, Tegretol, antidepressants, and antipsychotics.